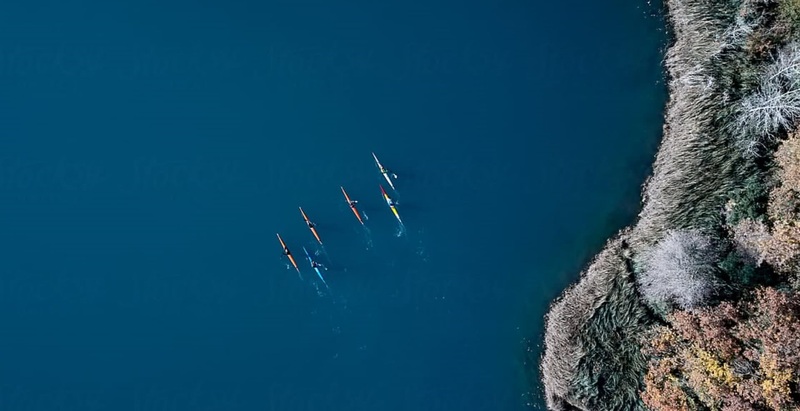 Want to go paddling alone or with friends? Renting a kayak, stand-up paddleboard or canoe is a great activity and alternative to owning your own boat or board. Rent for an afternoon and explore the waters of Downtown Victoria, Oak Bay or Saturna Island. Rent a boat for a few days and take off on your own adventure – as long as you have the necessary safety knowledge and proper transporting equipment for our gear. No matter what you are looking for we have you covered. Our fleet is the largest in town and is comprised of the highest quality watercraft. Large or small, we’ll have a boat or stand-up paddle board to fit you and get you out on the water! In the winter, rentals are dependant on your skill level, the weather, and the availability of our staff. We also have Stohlquist Drysuits, Wetsuits, Surf Stand-Up Paddleboards and Hydrofoils available to rent off-site in the winter. Please call or e-mail in advance. Off-site rentals available. You must have adequate roof racks, straps and foam/cradles to safely transport a kayak/SUP. Please email adventure@oceanriver.com or call 250-381-4233 to arrange. Are you a local? We have a local’s punch card available to help you save! Ask us about our punch cards. You can use up to $100 of credit from rentals if you purchase a kayak within 30 days of the rentals. All rental prices include safety gear. No reservations needed. All rentals are based on a first come first serve basis. Just stop by and we’ll get you on a boat or board! Optional equipment: Spare paddle and/or paddle float. Last rentals go out 2 hours prior to closing. Rentals are not guaranteed Nov-March; please call ahead. 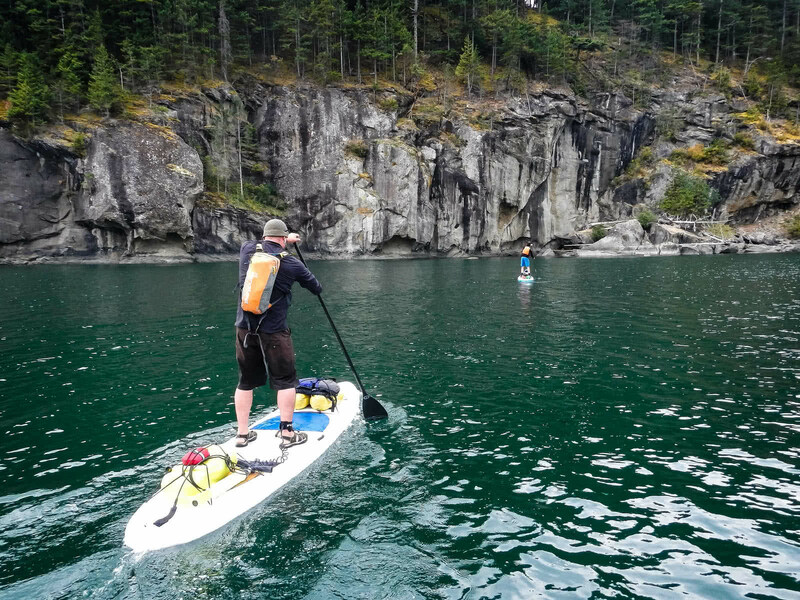 You can paddle down and explore the inner Harbour or explore up the protected waters of the Gorge Waterway. Both options are equally exciting and beginner-friendly. 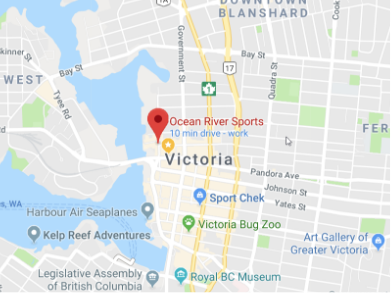 Upon payment of your rental, you will be given a briefing that includes your route options and a map for you to explore the various areas of Victoria’s harbour. Rental Hours: Currently closed. We will be open again in June 2019. Looking for something a little more exposed and rugged? 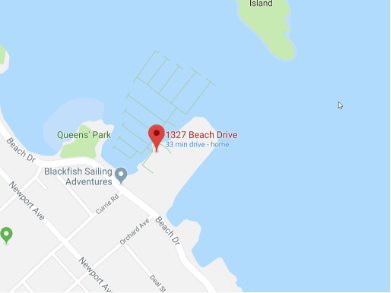 The coastline along Oak Bay is breathtaking and teeming with wildlife for you to view. Please note that rentals are subject to wind and we have the right to cancel rentals at any time. Lyall Harbour, right near the Ferry Terminal. 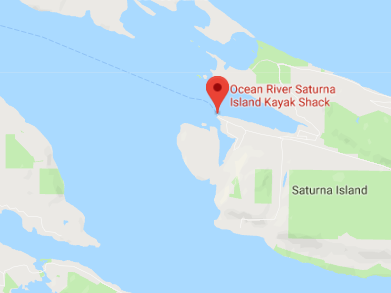 A real adventure hot spot located in the heart of the Southern Gulf Islands, our Saturna Island Kayak Shack gives you access to a whole other world that feels far removed from the hustle and bustle of the city. Please note that rentals are subject to wind and we have the right to cancel rentals at any time.